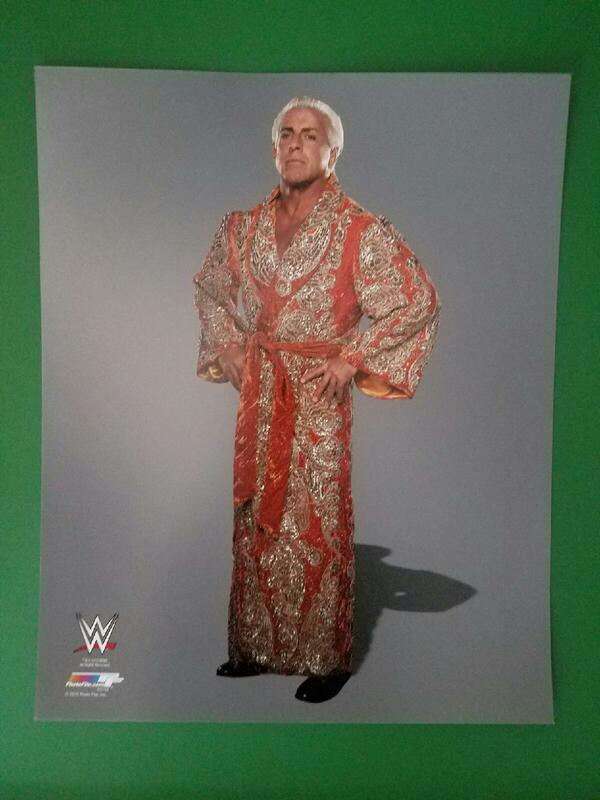 Home / Signed Memorabilia / Personalized Message and Autograph From Ric Flair on 8×10 Photograph: LIMITED EDITION! 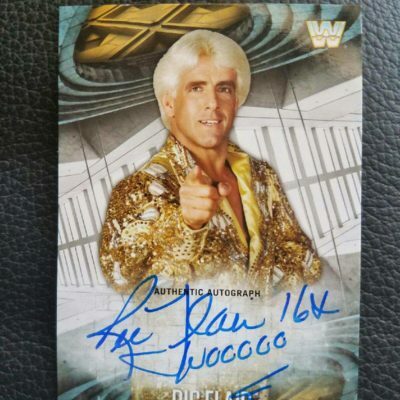 Make it meaningful and choose exactly what you want personal message you want Ric Flair the Nature Boy to write on the photo. Whether it is a gift for a friend or family member or something you want to have for you own, the stylin’ & profiilin’ 16x World Wrestling champion is ready to sign your photo. 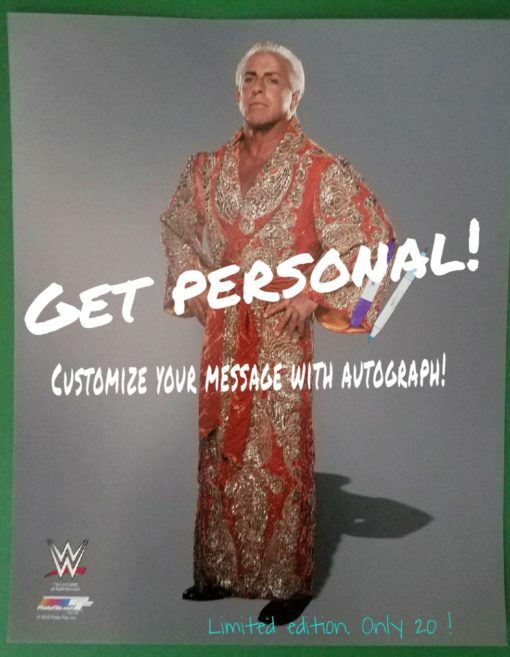 Make sure to include what you want the message to say at the checkout. He can also just sign his autograph as well. Only 20 of these available! 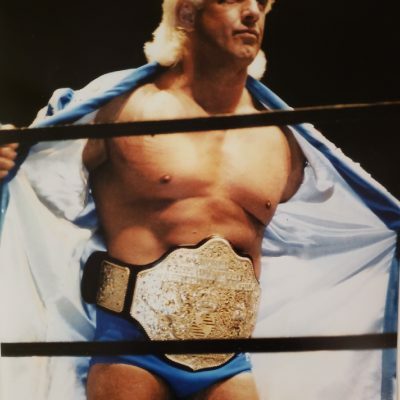 Wooooo!